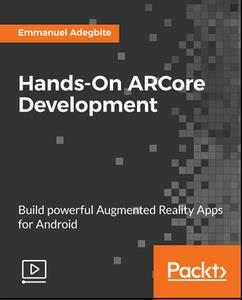 The course starts with the basics of ARCore and how to set up your ARCore environment. Then we move on to creating ARCore applications. It explains dependencies, and you'll work with the APIs and modules. It will show you the underlying mechanics of building applications with ARCore from scratch. ARCore allows you to access four different SDKs: Android Studio, Unity, Unreal Engine, and Web. We cover each of these SDKs and help you to create an AR app that you can successfully deploy on both mobile and the web. You will learn to implement motion tracking, environment learning in your app, create animations and sounds, generate virtual characters, and simulate them on your screen.